How To Choose Your mount ? 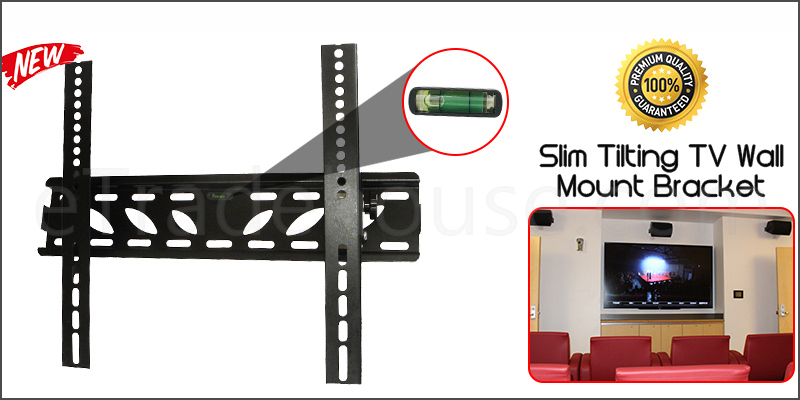 39 to 55 Inches Slim Tilt Spirit Level TV Wall Bracket Mount for TV LED LCD Plasma. NEW TV Wall Mount Bracket – Secure LED LCD Plasma Smart 3D WiFi Flat Panel Screen Monitor. Mounting Home Entertainment Media Center. Slim Tilting TV wall mount bracket. Fits most 39 to 55 inch flat screens. VESA 200x100 200x200300x200 300x300 400x200 400x300 400x400 compliant. Includes built-in spirit level to ensure 100% straight mounting Safety screws used to avoid movement of TV once mounted on the wall Patented tilt system to let you change the viewing angle easily and quickly. 1x39-55 inches slim tilt TV wall mount bracket.